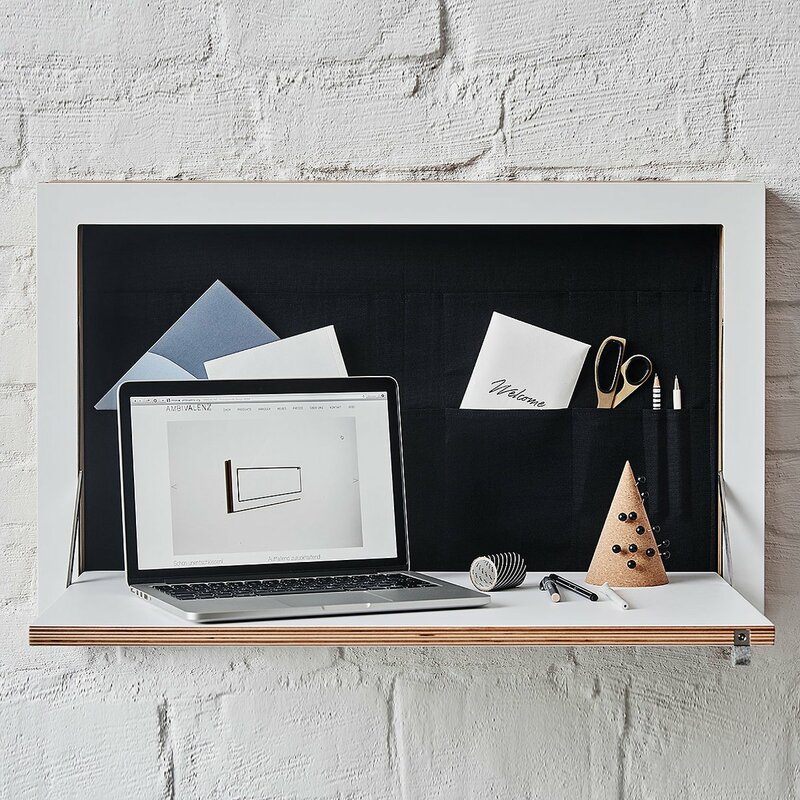 The Fläpps Secretary of State shelf is one of the unusual and audacious creations that make up the Fläpps collection by Ambivalenz. 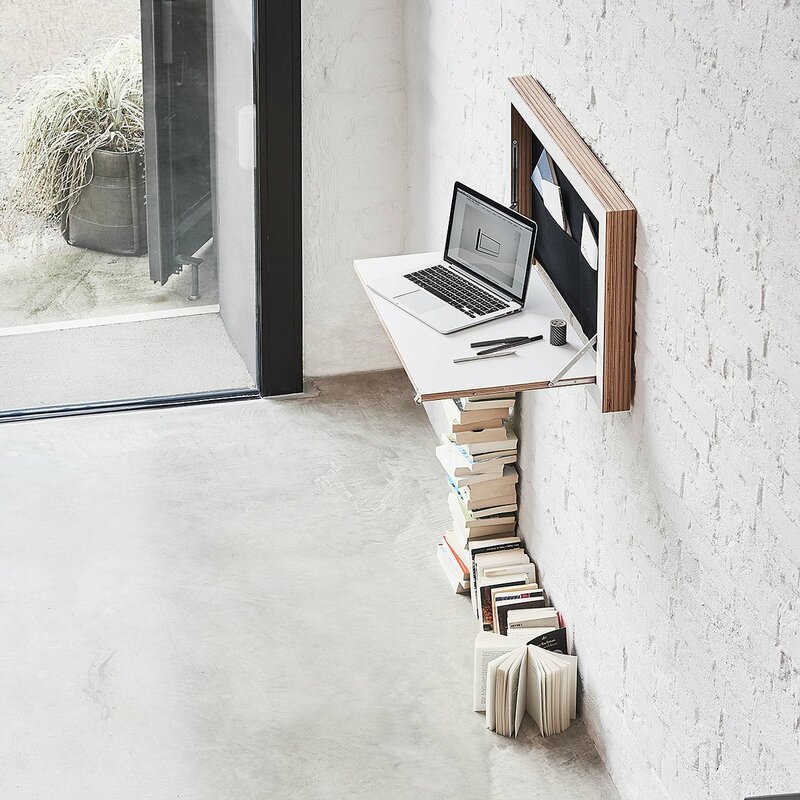 This article revolutionizes the idea we commonly have of desks: when it is closed, it looks like a modern decorative element while open it is a handy desk. 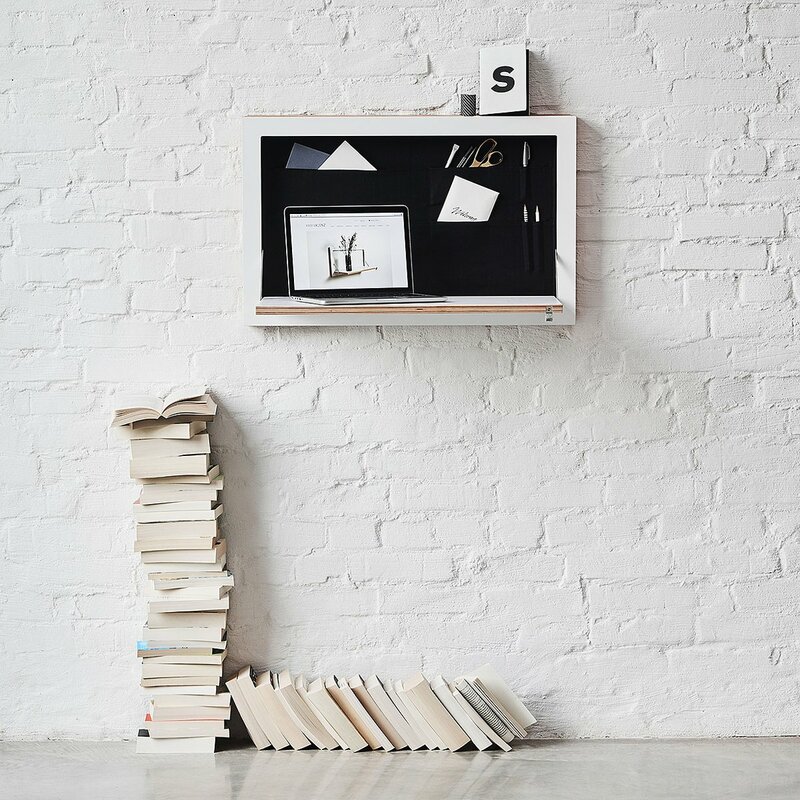 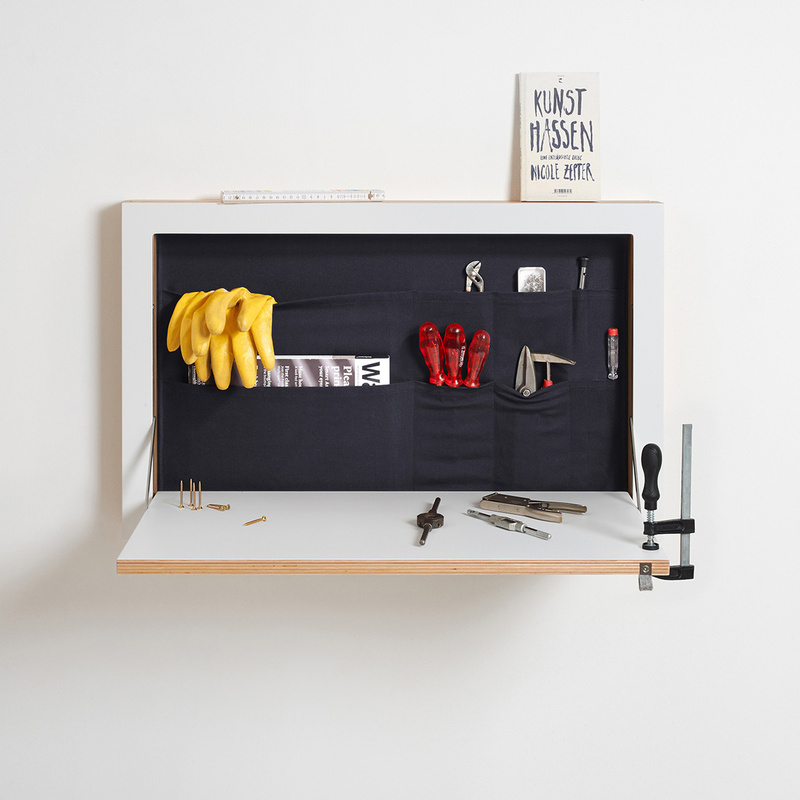 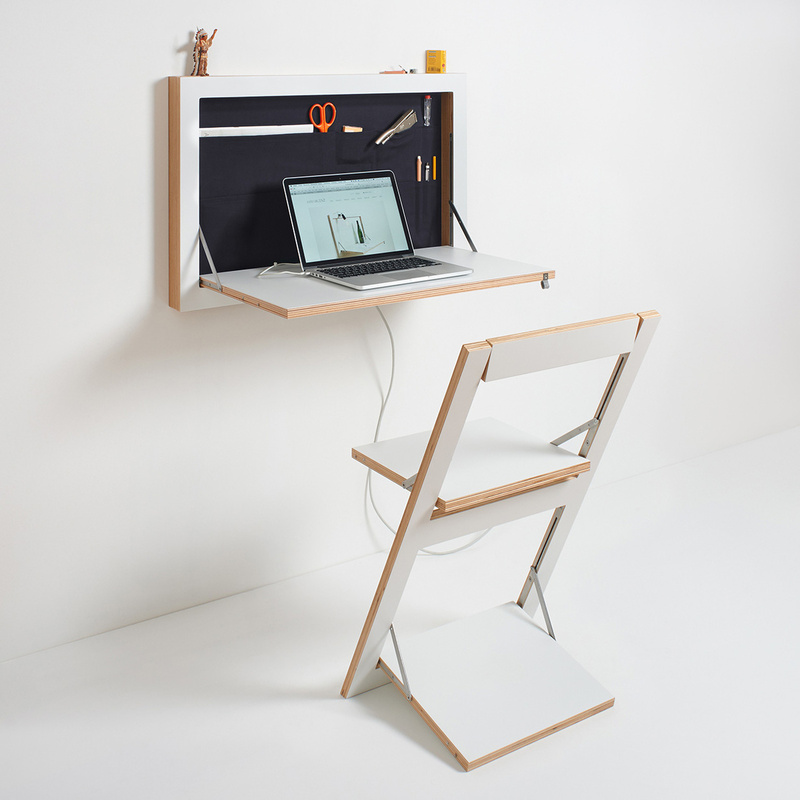 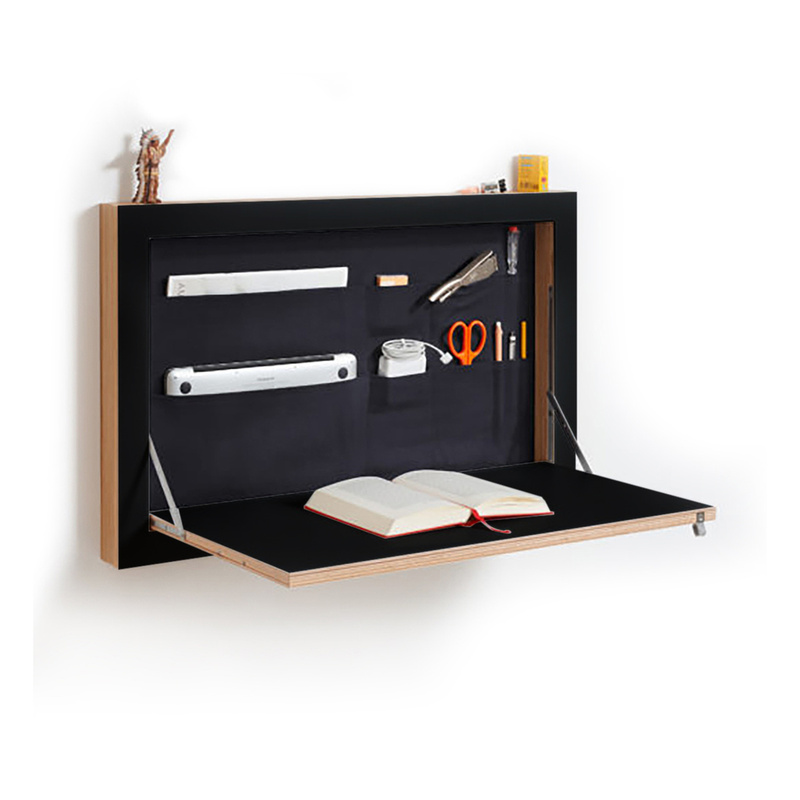 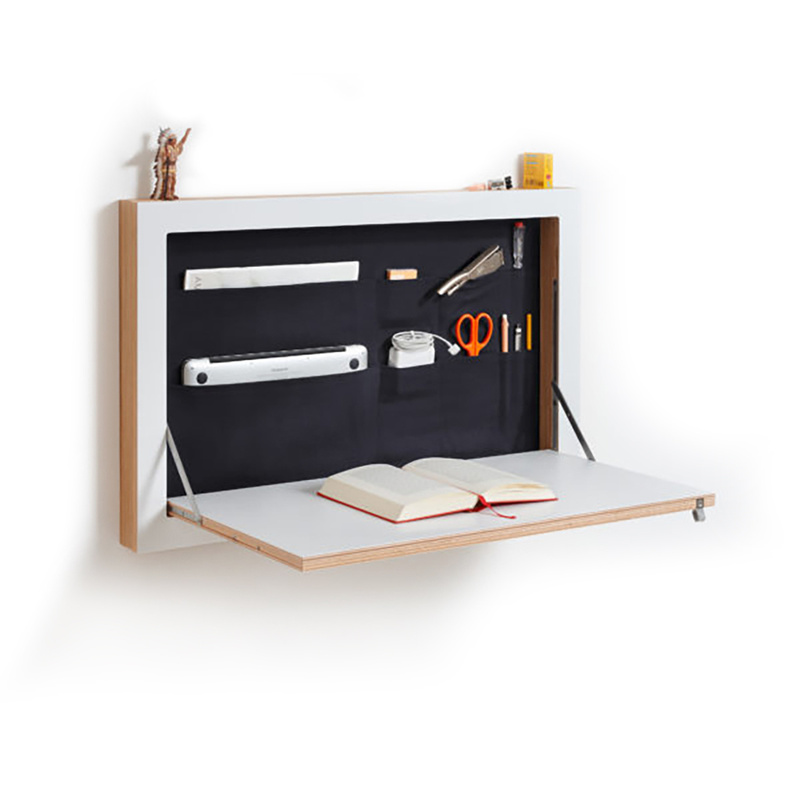 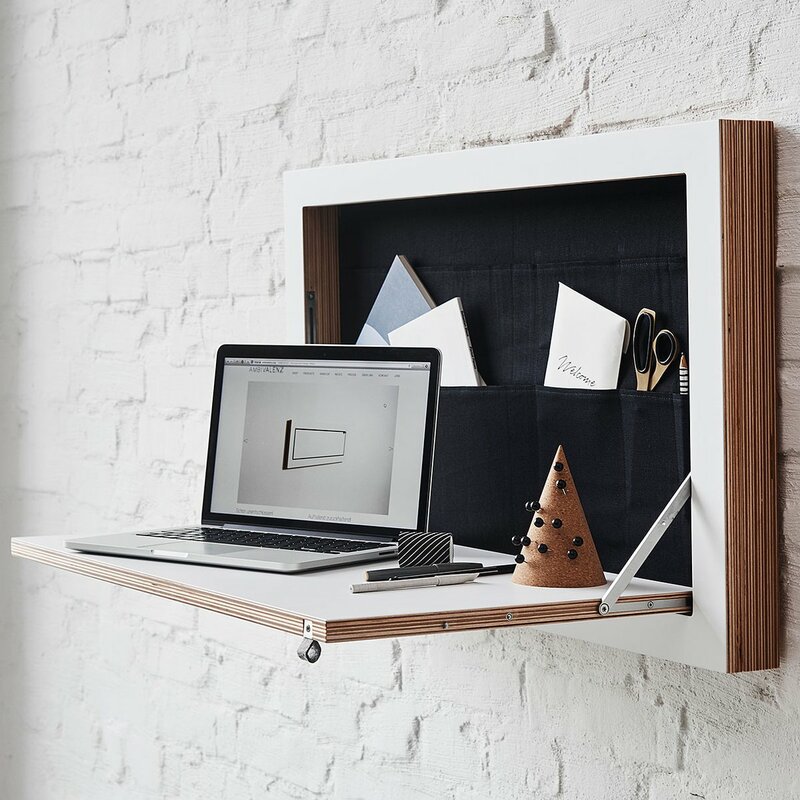 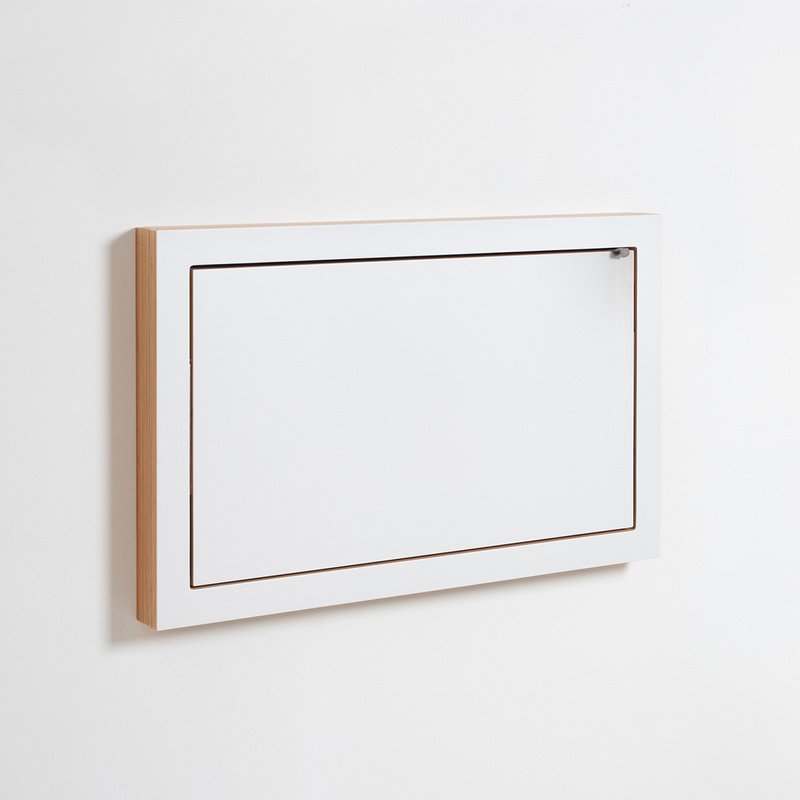 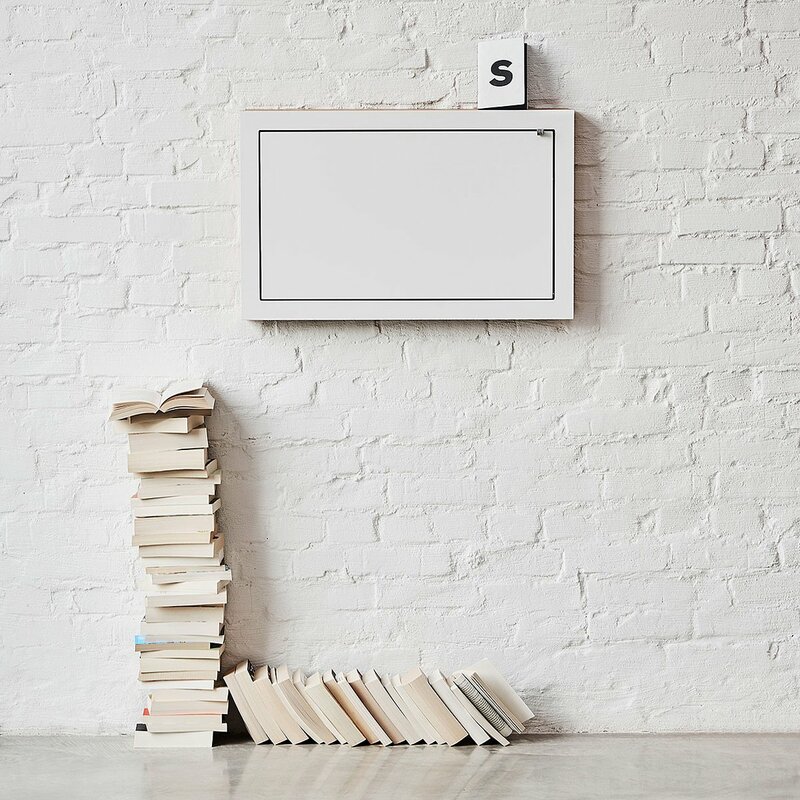 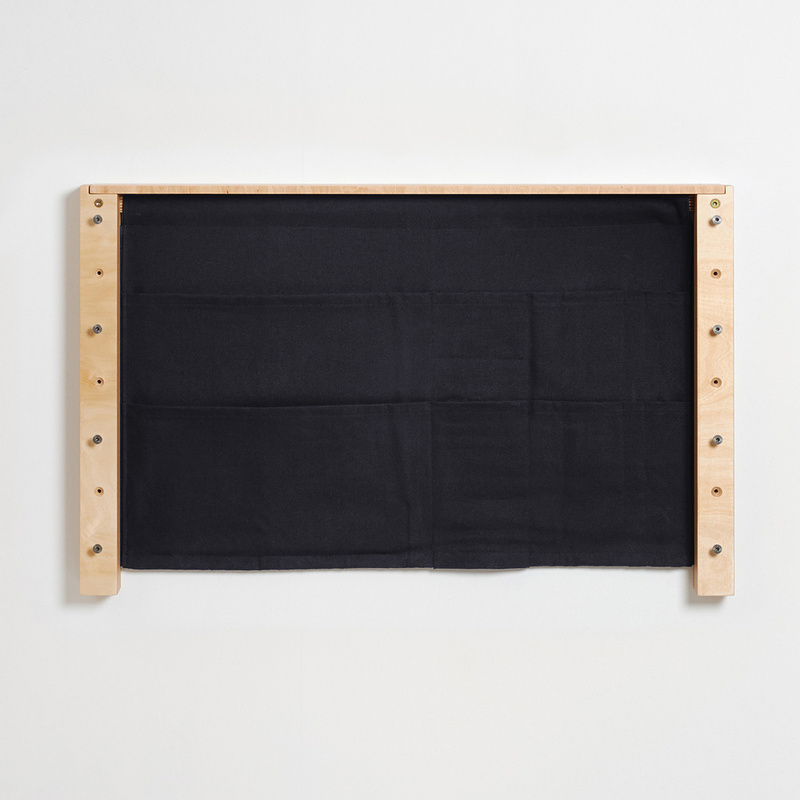 The Fläpps Secretary of State shelf is made in birch plywood with small steel elements; only 6 cm thick, the shelf is equipped with a canvas pocket that provides space for laptops, power adapters, magazines and of course for scissors, pens and paper. 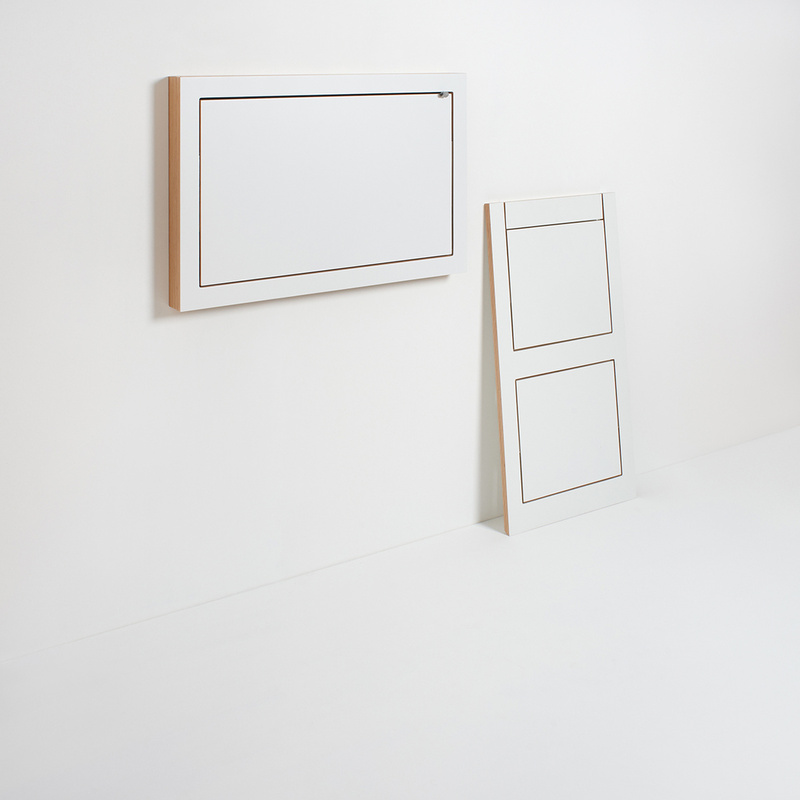 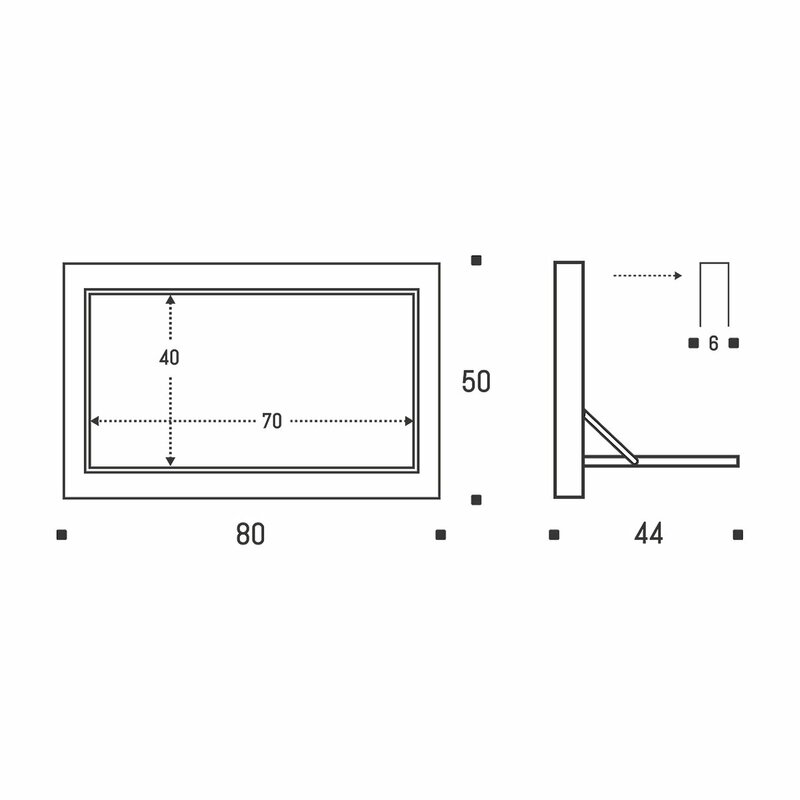 The working surface is 70 x 40 cm.